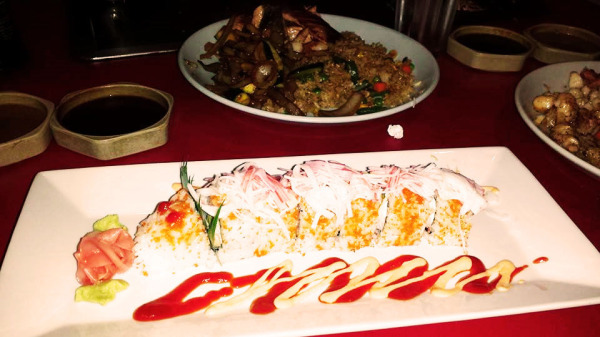 Hibachi 97 first opened its doors in 1997 by the famous Japanese chef "Mr. Tony" ​with the recipes he created. The restaurant has been in business for almost two decades now and remains successful due to the loyal customers. Every single item on our menu is made fresh from scratch. Our priorities are to cater to our customers and to provide them with an authentic cooked meal and an enjoyable show. ​Our menu will continue to grow aggressively so be sure to visit us often and enjoy all the wonderful changest that will be coming soon! Located near the Cowboy Stadium and the Texas Rangers Stadium, we are surrounded by many wonderful landmarks. Come enjoy a show as our chef prepare your meal in front of you. Afterwards, shop at one of the many popular stores surrounding us. There is always something to do at the Lincoln Town Square Shopping Center. If you have a special occasion, then allow us the honor to host your special day. We are able to host many types of events from birthday parties, corporate events, or organization gatherings. ​Reservations are not required but they are ideal so that we can accomodate accordingly to your request. 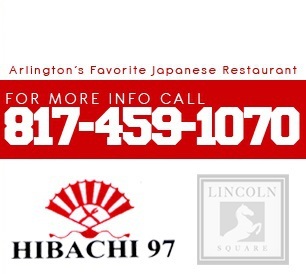 After all, we are known as "Arlington's Favorite Japanese Restaurant." Come watch us put on a show!